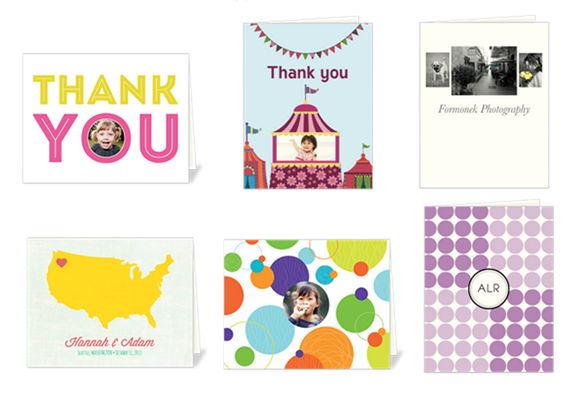 Get 12 Custom Note Cards or Invites $4.99 Including Shipping (Save $17.79)! 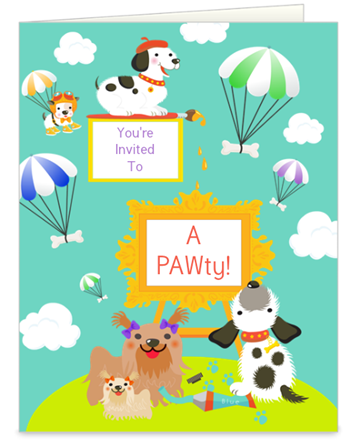 Whether you are a new parent looking to send out some announcements with the exciting news of your new arrival (furry or human), have a small business, just moved or would like to make some creative party invitations or thank you cards, everyone can find a great use for this deal! Pay just $4.99 including shipping and get 12 custom 4X6 note cards with the design and text of your choice. That’s a savings of $17.79! Offer is for new InkGarden Customers only. Make sure to use promo code NCARD2 at checkout. Start here for more info and to browse all the design options! 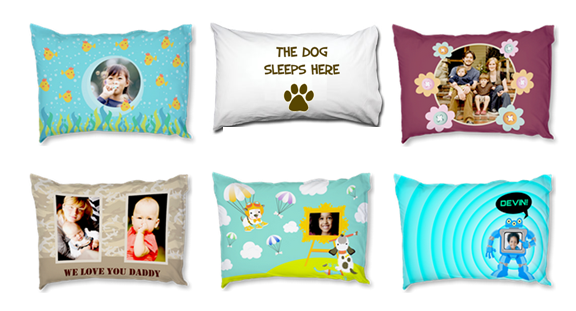 The Dog Sleeps HERE: Create a Custom Pillowcase for Your Dog or Bed $5 ($22 reg)! 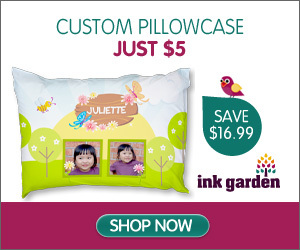 Check out this amazing deal from InkGarden for a $5 custom pillow when you order by 5/15! It’s a savings of $16.99 off the regular price and I can think of so many fun ways to use it! You could create a “Get Well Soon” pillow especially for use when a kiddo or family member is under the weather, a “We Miss You” pillow for a college student or military service member serving overseas, a pillow for Sleep Away Camp or even make one up for your fur kid! Choose from one of the many cute and colorful free design templates and then just upload your favorite photo and add your own text. Or choose the option to completely design your own and add a funny saying like “The Dog Sleeps Here!” For small dogs, an old pillow can make an inexpensive new bed when you use a cute pillow case like these! And larger dogs love having them to rest their head on, whether they are in their crate or sleeping with the human family members like Daisy does! Make sure to use InkGarden Promo Code PILLOW5 at checkout to pay just $5 + S&H! 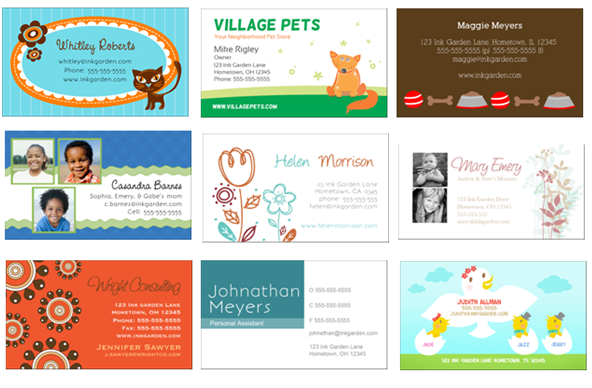 50 Free Business Cards: Great for Moms, Bloggers and Pets, Too! There’s a brand new freebie offer over at InkGarden for 50 FREE Business Cards! 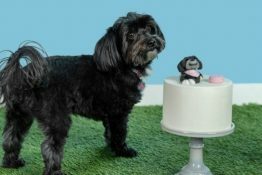 There are several hundred super CUTE design templates so all you have to do is fill in your info, and upload a photo or logo (optional) and you’re all set. 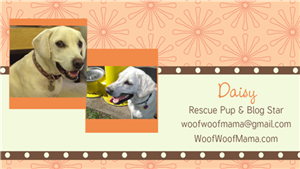 Even if you don’t have a business, these make great contact cards for parents, bloggers, freelancers and even for your pets! 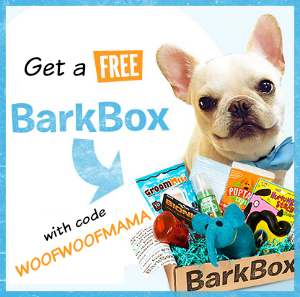 Super convenient when you run into someone at the dog park, grocery store, library, school event, etc. and want to connect later for a play date, study session, lunch, or networking. If you’ve got teenagers who do babysitting or odd jobs, you can make some for them, too. The nice thing is that you control what contact info you include. I’ve seen some that only have an email address or Facebook page. To get your 50 Free Business Cards, use InkGarden Promo Code: 50FREE for one-sided or 50FREE2 for two sided cards. New customers only, and valid for 1 order per person thru 4/15. S&H is $4.49, but even so it’s a great deal! Visit InkGarden to browse all design templates and get started. 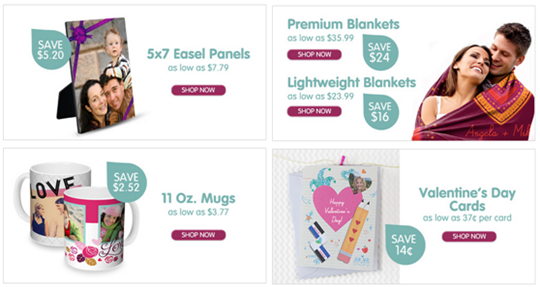 Make a super thoughtful personalized gift for your sweetie for Valentine’s Day! 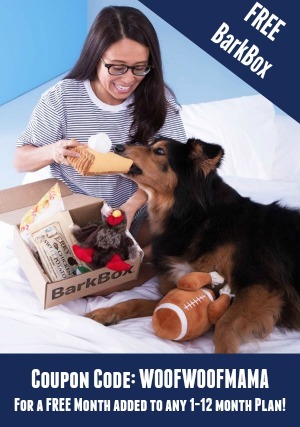 Upload your favorite pet or family photos and personalize a blanket, water bottle, mug, or one of several other gift items available for customization. The cuddly blankets would be adorable for your furry valentine, too…just put their name on it so everyone knows it’s theirs! 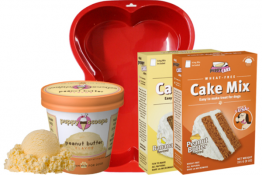 Get 40% OFF your order when you use InkGarden Promo Code LUV and order by 2/5 to get your items delivered in time for Valentine’s Day! 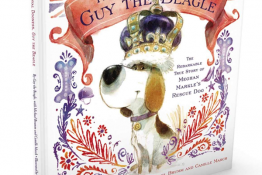 Make a Custom Pillow Case for Your Dog or Kiddo for $5 ($22 reg)! I spotted this amazing printing deal from InkGarden today for a $5 custom pillow! That’s $16.99 off the regular price and I can think of so many fun ways to use it! You could create a “Fee Better Soon” pillow especially for use when a kiddo or family member is under the weather, a “We Miss You” pillow for a college student or military service member serving overseas, a pillow for Sleep Away Camp or even make one up for your fur kid!